Get the answers you need from the exclusive Pharmacy Broker endorsed by NCPA. The path to Pharmacy Ownership can seem daunting. Most future owners are not certain if they are ready or even where to begin. The only thing they know is that they have always dreamed of owning their own Pharmacy. We understand that goal. We have helped hundreds of people like you realize their dream of owning a Pharmacy. 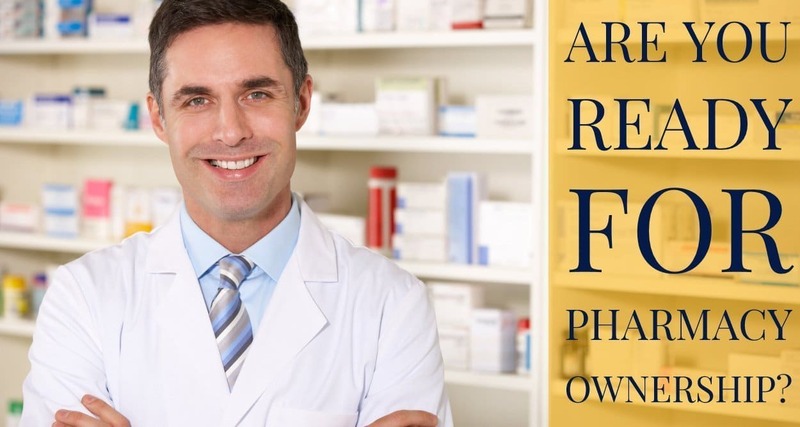 Our Pharmacy Brokerage experts can help you determine if you are ready for Pharmacy ownership and which path to ownership would be best for your unique situation. Our brokerage experts have put together some of the most frequently asked questions below that future Pharmacy owners have asked when beginning their journey to ownership. 1) How much money do I need to start a Pharmacy? Start-up capital of $450,000 isn’t an uncommon figure. We’ve partnered with some of the industry’s best lending solution providers to help you find the resources needed to follow your dreams. 2) Should I start my own Pharmacy? If you’re starting a Pharmacy from scratch, the very first step to ensure success is selecting a location that can sustain a Pharmacy for years to come. Our Feasibility Study is an extremely affordable solution to give you the answers you need. 3) Should I buy an existing Pharmacy? We have numerous profitable Pharmacies for sale and contacts throughout the U.S. so Contact Us today to find out about all of the opportunities we have available. You can also use our Turn-Key Pharmacy Ownership Program or if you have a Pharmacy in mind already, you may need our Pharmacy Transfer Consulting Service. If you’re buying an existing Pharmacy, mistakes in the transfer process can cost you tens of thousands in reimbursements and lost patients. Our Transfer Consulting Services will cover every detail, making your transition smoother and less stressful. 4) Should I do a stock or an asset purchase? Both options have upsides and downsides. Our Pharmacy Brokerage experts will evaluate your situation and provide you with advice and guidance, helping you to make a well-informed decision. 5) Thinking of buying the store you’re currently working in? You’re probably friends with your current boss or partner (seller) but everyone knows “business is business.” This may be the most important purchase of your life. Get independent, expert help. You wouldn’t buy a house without a real estate agent or lawyer involved. Don’t buy a Pharmacy without hiring an expert Pharmacy Broker. PRS is the exclusive broker endorsed by NCPA and we are the preferred broker of choice for numerous buying groups. 6) How do I know that the value of a Pharmacy is correct? Our Pharmacy Valuation Service can ensure you’re paying a fair and just price. This valuation is conducted by an unbiased third-party so you can rest assured that the results will not be skewed. We are here to help you every step of the way. Schedule a one on one consultation with our Pharmacy Brokerage Experts and start your journey to becoming a Pharmacy Owner today!